Hi! My name is Ashley Gajda. I've owned shelties for almost a decade now, but I have adored these dogs ever since I was little. I've known people with shelties all my life, and could not wait to get one of my own...and of course, when I finally did... I was hooked! I acquired my first sheltie shortly after I entered law school in 2008. The photo to the left is of Kailey when she was 3 years old. 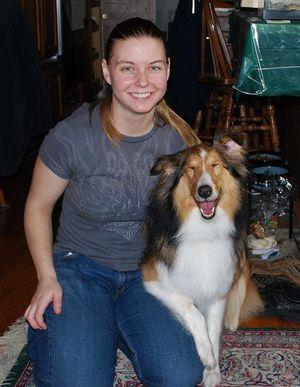 To learn more about Kailey and our other shelties, past and present, check out the "Our Shelties" page.